HireProgammers is the best place to find specialized freelancers and also get best rates freelance with an established profile begin to overcharge. Why Choose Freelancing as a Career? Freelancing has gone main stream. Employers rely more and more on independent workers to sustain and grow their businesses. Freelancers of different age groups exist in all kinds of professions with varied expertise and experience. Gone are the days when freelancers were considered to be either “a euphemism for being unemployed or for being a slacker dude hanging out at a cafe with a laptop”. Freelancers are now a large part of the universal workforce and their numbers are increasing day by day. Large numbers of employed professionals are turning freelancers as the lure of flexible working hours, independence and higher earning potential is on the rise. Any number of reasons can be given for a professional to become a freelancer but some of the most highlighted ones are these. 1. Flexibility : Flexibility is a large boon in a freelancers lifestyle. It makes you work – life balance more flexible than what a traditional job can provide. A recent survey shows that the flexible schedule is more important than salary to many the new generation workforce. As a freelancer you are your own boss and make your own hours and work on projects you like. 2. Networking: When in a traditional job you are limited to your working environment and settling with the limited networking opportunities allowed by the nature of your job. Freelance project developers have no such limitations as they can work with anyone and anywhere as they choose. This gives them the chance to hone their skills and get associated with other experts from various parts of the globes as well as interact with a wide variety of customers and projects. 3. Gain Experience: Freelance Programmers can work on a wide variety of projects and thus gain valuable knowledge and experience. Each project will be a challenge and different from the last and it beats the monotony of a traditional job. 4. Work from Home: Work from home is a concept that is being promoted by many MNC’s for the sole purpose of saving on space and infrastructure required for employees but they still have a lot of rules and regulations attached. Freelancing gives you the added advantage of working from home, at whatever time you choose and best of all “NO Dress Code”. 5. Added Income: Initially the income and career progress might be slow for a Freelance project Developer but with experience and good client base you invariable earn more than what a traditional job offers. Some freelancers do hold a traditional job and supplement their income with freelance projects. Why Outsource Your IT Projects To Freelance Developers? All businesses today are talking about operational savings and cost cutting. This translates to change in the hiring policies of many companies especially SMB and startups. Hiring fulltime professionals for temporary projects does not bode well with today’s hiring policies. The only option left is outsourcing projects to external contractors. What do you do if you have projects to be developed in .NET, Android, PHP. Not many large software development companies will be interested in small projects and also the cost and development timeline will be highly prohibitive. The only option is to hire freelance programmers who offer good development cost and better development timeline. In recent years the freelance programmers have become more capable and dependable in handling projects on their own .The advent of portals like www.hireprogrammers.in have increased the availability of reliable freelance programmers and these portals also take on the onus of completion of any project routed through them within the given timeframe and budget. These portals can provide developers proficient in different platforms and development languages like .NET, Android, PHP and other open source platforms. When a firm hires a fulltime software developer they are restricted to a certain technology or platform for all their activities and the flexibility of being able to associate development of software with the best available platform. Outsourcing gives us this flexibility and by outsourcing projects to freelancing developers we are able to save on cost and time. We will be able to pick and choose the best available talent for our development activities as well as define our terms and conditions. Why Outsourcing Your Development Activities To Freelancers Makes Sense? When operating in a competitive space any delay hurts your chances of being the first mover in the market. When you can afford it outsourcing to a reputable development firm is a viable proposition, but if there is a constraint on budget and time then the best option is always outsourcing to Freelance Programmers. Freelance programmers are a community and with the availability of Freelancing Portals finding a developer who suits your needs and fits your budget is quite easy. The question always asked when it comes to outsourcing projects to freelance programmers has been “Reliability”, “Budget”, and “Time”. With the advent of the internet era and highly competitive market in full sway and the spirit of being your own boss being viral, freelance programmers are competing to maintain customer relationships at the best possible level as it means repeat work for them as well as referrals. This has started a chain reaction of freelance programmers doing projects within stipulated time and budgets as well as to the customer’s satisfaction in terms of quality. Now the question arises how I go about finding a Freelance Programmer best suited for my project. The answer lays with various freelancing portals like http://hireprogrammers.in/ that have a plethora of talented programmers registered with them and can assist you to identify and employ a suitable Freelance Programmer. All requirements and details including Finance, Time Limitations and programming nuances can be discussed, validated and documented giving a clear understating for all concerned about all aspects of the project including milestones and payment terms. In case of any deviation in the schedule will be handled by the portal which will also include a suitable replacement of the Freelance Programmer if the problem identified is from the programmer. In conclusion we can safely say that contrary to popular beliefs of the yesteryears that freelancing is not the safe and effective way of concluding a project we can now proclaim that it is the way to go to get a project completed safely, on schedule and with the best budget. If you are looking to have a freelance software/web development without any hassles and risk, Hireprogrammers is the right place for you. Many business owners want to hire freelances for their software development projects. The main reason is to cut down the cost involved in hiring a big software company. Of course, freelance programmers charge only fraction of amount that you pay for the software company; however, there are many practical problems and issues involved here. This is especially true when you are hiring freelancers via online. Of late, there are many websites that offer freelancers for hire. But such websites don’t assure quality of service nor take any responsibility for completion projects. What they mainly do is to offer freelancer profiles. The reason why Hireprogrammers is the ideal platform for your freelance project development is that they are involved in every step of the process till the desired results are achieved. Hireprogrammers has a unique online portal that effectively connects the freelancers and the businesses. You can post your freelance projects and you will have many freelancer profiles to choose from. 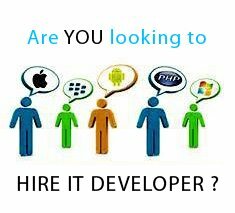 Hireprogrammers has pool of talented freelancers for varied kind of software/web development projects. Whether it is a simple web design or complex software development, we can offer you the right freelancer. You can hire freelancers specialized in PHP, ASP.NET, Drupal, Joomla and much more. You can hire a required freelancer at a very affordable cost. With hireprogrammers, your project development is in safe hands. We mediate the whole project development process from start to the end. Businesses do not need to worry about the budget and risk of losing money. Budget and payment are predefined to ensure efficient development and delivery system without any risks to the client as well as the freelancer. Looking for freelance programmers for your software development? Want to have a safe and secure freelance software development program for your business? Do not worry! Hireprogrammers, with its unique platform, is there to offer freelance programmer for your software development, web design and web development projects. Hireprogrammers is a unique online market place that connects freelancers and businesses. For businesses, Hireprogrammers offers everything that is required for a hassle free and risk free software development program. You may get many websites on the Internet for find freelancer programmers for your software/web development projects. But Hireprogrammers is different from others you find on the Internet. We have developed a tested and proven system that will help any businesses to have project developed by freelancers within their time and budget specifications. We strictly adhere to standards and we have uncompromising attitude towards the quality. Though Hireprogrammers is relatively new to the Internet space, it is an arm of Quadruple technologies that has been successfully providing staffing solutions for recruiting industry for over 5 years. Banking on this experience, Hireprogrammers is able to offer the right freelancer for your Software development requirements. We will evaluate your project and connect you with right set of freelance programmers available with us. All our freelancers are handpicked and checked for their skills and expertise. Many websites that you find in the Internet may provide you unskilled freelancers. That’s because they usually give more priorities to paid freelancers and not for the talent and skilled ones. At Hireprogrammers, we always emphasize on talents and skills. We never charge any membership fees from our freelancers and we prioritize based on the skills and talents.